Congratulations to all talent students! 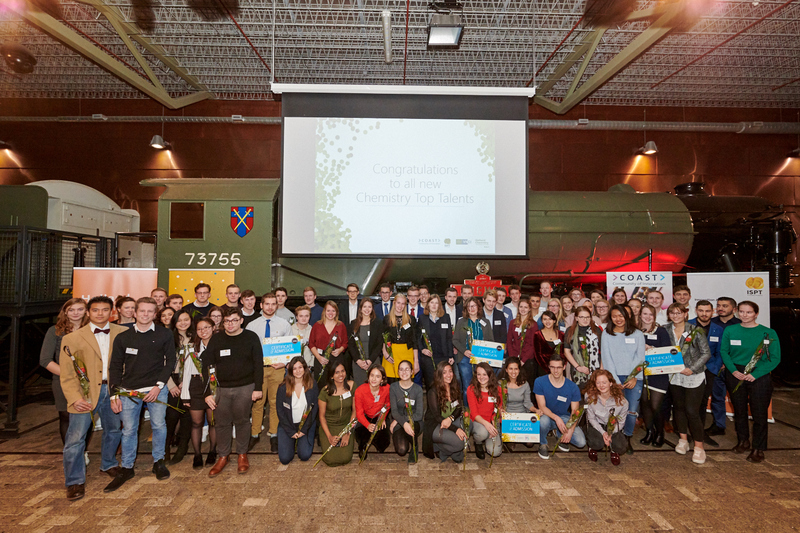 On November 21st, over 300 people came together at the Spoorwegmuseum in Utrecht to celebrate the granting and graduation of the 60 Holland Chemistry talent students of COAST, ISPT and VNCI. It was a festive evening lead by Joost Hoebink. Emmo Meijer shared his vision on chemistry and wished the students good luck with the talent programme and their carreer in Chemistry. Julia Cramer gave an inspiring lecture about science communication. Find out more about the talentprogrammes.